Home / Blog / How to Sell a Totalled Car in Brisbane? Selling a car that has been in an accident or declared as a total loss is pretty difficult. Obviously, you won’t be able to find someone interested to spend money on a totalled vehicle. But this doesn’t indicate that your accident damaged car is totally useless. It will still have a lot of recyclable materials. On an average, experts are able to recover 25 million tons of recyclable materials from unwanted automobiles. When your automobile gets involved in an accident the first thing you can do is speak your insurance provider. Their representatives will search five more automobiles that have attributes similar to your vehicle. First they will find the highest priced and lowest priced vehicles and ignore them. Next they will consider the average price of rest of the three automobiles. This is the price that will be offered to you. They use this trick to pay the maximum possible money to their clients. Make sure the company select vehicles with similar make, model and age to yours. In addition, the automobiles must have similar mileage and condition. This will help your provider to make fair comparisons and pay a reasonable amount of money. Otherwise, they can select a wrong base model and underpay for your automobile. 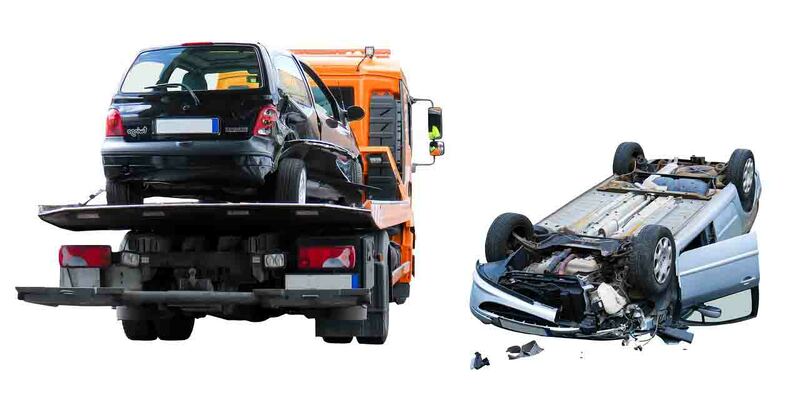 According to most people a vehicle that is declared as totalled is no longer roadworthy. But this is not the case when you deal with insurance companies. They define totalled car as vehicles that cost more to repair than the original worth. However, some insurance companies assume a vehicle as totalled when it repair cost exceeds the initial worth. So, you must figure out the amount of damage in the vehicle to get a fair cash. Sell a car for parts of scrap it now. If you didn’t offer the automobile to your insurance provider they will give you it’s “salvage title”. This means the company may even offer to salvage the automobile. But if you don’t have a good knowledge about your automobile. It is important to take this decision because after the vehicle properly salvaged you can get a new title from DMV. Just make sure that your wheels are well-qualified to get a certificate of salvage title. The salvage auto dealers may be either able to sell your car for parts, or at auction. This is a great option if you have enough time and money. However, it is not the easiest option is to sell your broken car privately. Many people hesitate to spend money on a vehicle once they see its salvage titles. They believe that the automobile is seriously damaged. Thus, it can be an uphill battle to sell a totalled automobile to a private party. Even if you are not able to sell your totalled automobile through above options. You can always rely on a scrap car yards in Brisbane. They will take your vehicle with any level of damage. And, they might pay you more money than you expect. As they assess automobile’s worth based on the scrap metal in it. However, the good news is that most junkyards visit their clients place to pick up vehicles. They do it at zero selling costs. Make sure to organize your essential paperwork like registration and proof of ownership. You will need to show them to their representative in order to indicate that you are the owner of the salvaged vehicle. Read more about how does scrap car yard work in Brisbane. If you want to use your salvage vehicle towards a good cause you can donate it. Just remember that this option won’t help you fetch any money. However, you can always avail a deduction in tax credit. Just be sure to preserve all the documents of donation to show the department that you have legitimately donated the vehicle.